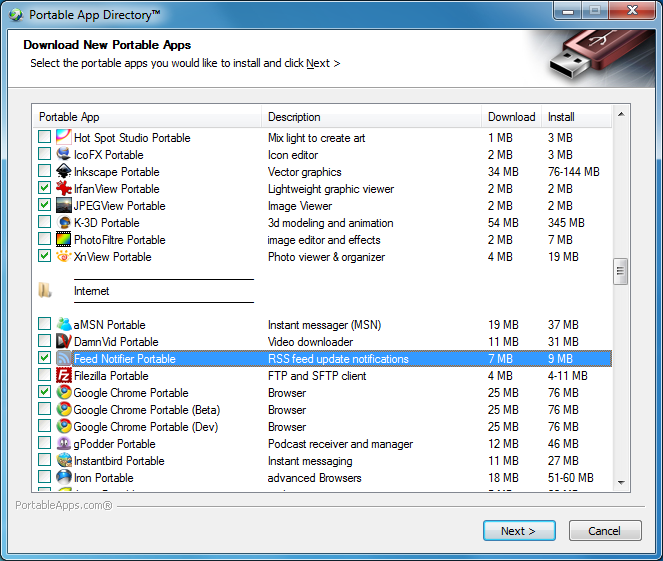 PortableApps.com Platform is a powerful set of tools which makes it easy to create and manage your own collection of portable applications. If you're starting with an empty USB stick, for instance, you might first install the Platform there, before using its Directory to find apps of interest. 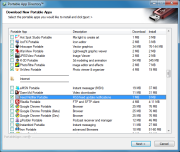 There are games, media players, browsers and internet tools, productivity applications, security tools and more, over 200 apps in total, and downloading and installing the ones you need is as easy as checking a box. Once the process is complete then you'll have a handy portable toolkit which you can take and run on any convenient PC. Intelligent organisation tools make this easy to navigate (internet-related apps automatically show up in the Internet folder, for instance), but if you do manage to lose something, then just as in Windows, typing a few letters of the missing app will quickly highlight it for you. Just as with your regular applications, it's important to keep portable tools up-to-date. The Platform helps here with its built-in updater, which can automatically check for and download updates on launch. And if you don't like some aspect of how the Platform works then you can probably reconfigure it, as there are plenty of tweaks and configuration options on offer here (including multiple themes and colour schemes to customise the look of the Platform menu). What's new in 16.0.1 (see changelog for more)?